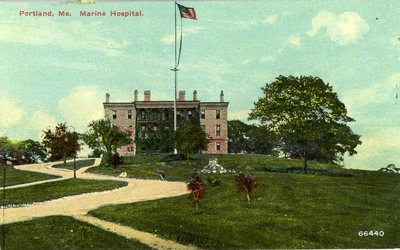 "Portland, Maine Marine Hospital Postcard "
An image scanned from a postcard of the Marine Hospital in Portland, Maine. The image has been printed with the number 66440 in the lower right corner. No publisher information or date is printed on the back of the postcard.